Using the Sitka Center's location on Cascade Head as a source of material inspiration, this workshop will explore basketry as a way to connect to land and weave vessels of reflection. Beginning with a range of basic basketry techniques using provided material, we will move on to incorporating harvested and gathered material (pending approval from Sitka staff, of course!) and exploring basket weaving as sculpture and performance. 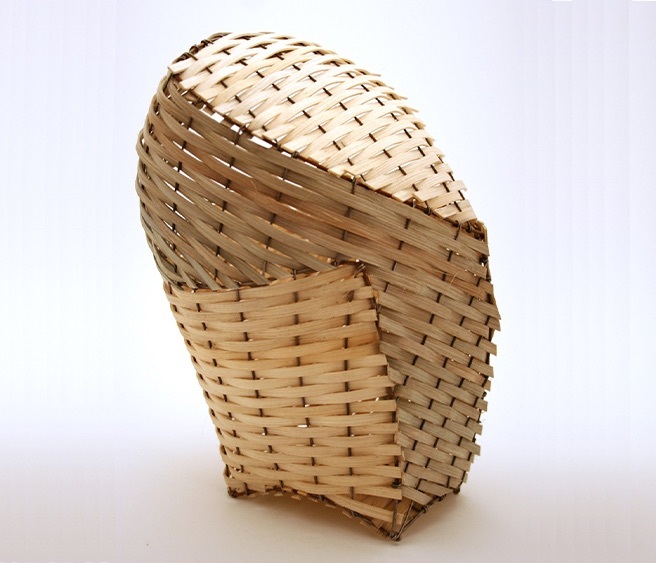 Emphasis will be on technical foundations, responsible harvesting and basketry as personal expression. All students will leave with at least four completed baskets. Angela Eastman weaves together knowledge of traditional craft techniques and movement exercises to facilitate workshops in engaged art making. Angela has taught workshops to kids and adults in sculpture, installation, ceramics, basketry and performance. Angela received training through the Core Fellowship program at Penland School of Crafts prior to receiving her MFA in Sculpture from Cranbrook Academy of Art.